I have to tell you I have completely and totally fallen in love with creating again!!! I don't know what happened there for a while but I just felt that I was creating because I HAD to (for orders, stamp club, etc) not because I WANTED to. But something amazing happened for no reason at all and I am back doing what I love most because I truly want to. It's fantastic!!! Now this little hippo with her balloon is meant for a birthday card of course but I happened to need a thank you card so I changed her cute little balloon into a cute little button flower. I don't actually own the Scallop Circle Die for the Big Shot so I traced my Rose Red Scallop from a Carousel Note (retired) in my stash- not bad hey?!?!? I've been practicing, what I like to call, my Teneale Williams' bows and I think they are starting to look quite snazzy- what do you think???? Well that's enough from me for now. My parents arrive home from England today- Yippee- Elliot and I are both so excited to have them back. I'm also in the middle of making some goodies for the little guy's 2nd birthday party on Wednesday. I promise to come back and share them soon. What a fun and bright card this is. Great idea to change the balloon to a button Louise! Thanks for playing. How adorable!! I think you've done a fantastic job with your 'Teneale' bow- very cute overall. Love the design of your card, Louise! The colours are so bright and happy. I've been in a bit of a creative rut myself - I haven't scrapped a layout for almost three weeks now and I have to say that I'm enjoying the break. I think it's because I haven't HAD to scrap, so I haven't :) You must be so thrilled to finally have your parents home! Love your new look blog - that photo is gorgeous. So adorable and love how you made a bright and cheerful card out of this combination. Well done! very cute. love the hippo. Awww, this is so cute! 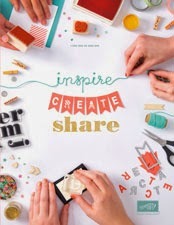 I can totally relate to being uninspired... but here's to you feeling creative again!! This is adorable. It certainly is more fun to create 'cause you want to not 'cause you have to. My Little Boy Turns Two!!!! 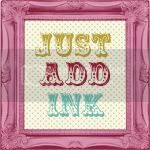 Inkspirations Guest Designer- That's Me!! !